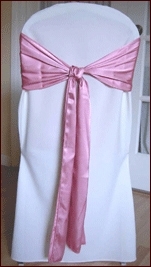 We offer many chair cover sashes for you to choose from below. 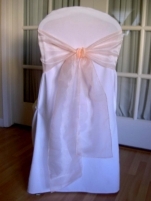 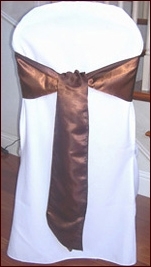 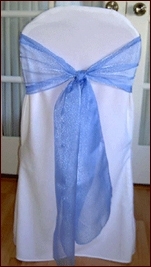 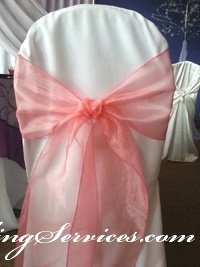 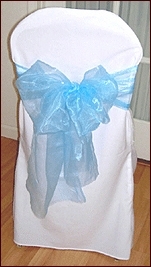 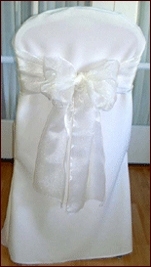 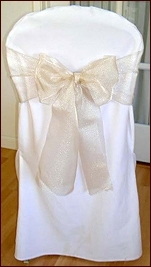 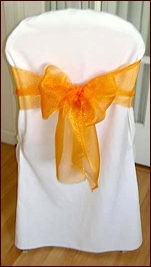 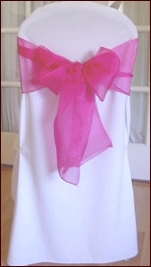 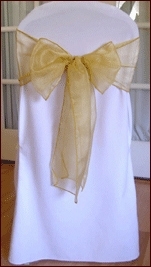 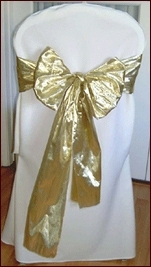 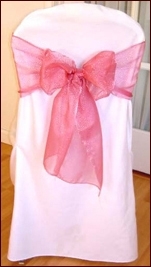 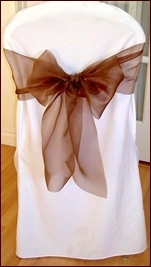 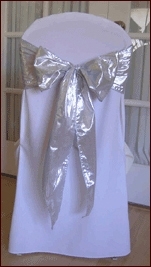 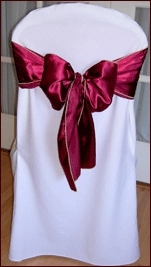 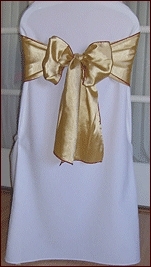 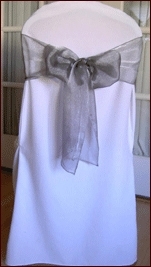 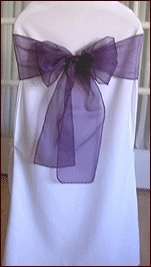 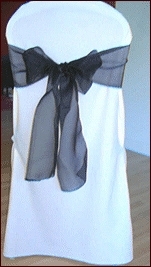 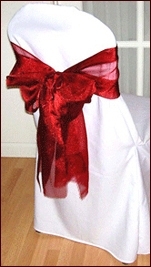 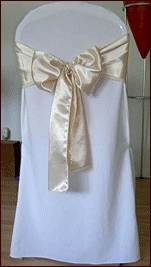 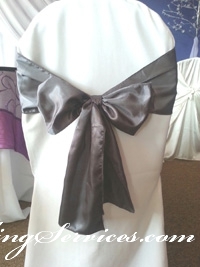 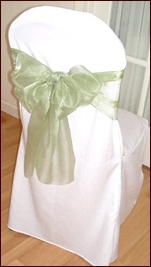 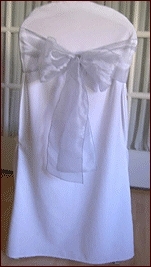 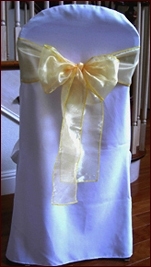 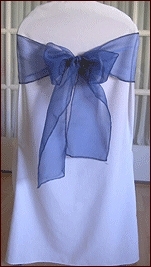 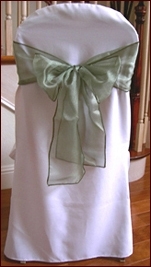 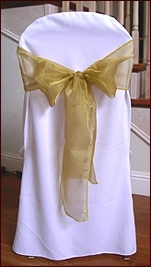 Chair cover ribbons or sashes can be tied in a bow or a knot per your request. 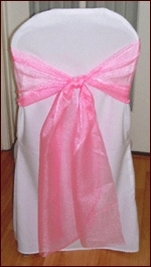 All organza sash colors are included in the rental price. 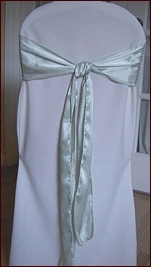 Satin sashes are also available. 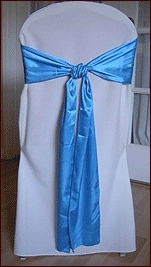 We can custom make any fancy type of material sash color for chivari chairs that are not listed as well per your request. 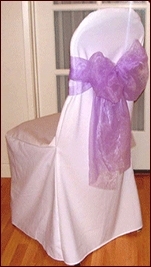 Please complete the chair cover order form request for chair covers pricing inquiry.